A mix of clouds and sun during the morning will give way to cloudy skies this afternoon. High 71F. Winds N at 5 to 10 mph..
Cloudy skies. Low 46F. Winds light and variable. Colvin — Richard, 91, Kelso, died Thursday at a local adult care facility. Cascade Northwest Funeral Chapel at Green Hills Memorial Gardens & Crematory. Walsh — Kay L., 81, Longview, died Wednesday at the Hospice Care Center. Columbia Funeral Service. Beloved father Bill Gilles passed away peacefully surrounded by his loving children and their mother at the Hospice Care Center. He was born to Joe and Katherine (Gerry) Gilles on July 19, 1932, in Longview. In 1952 he married Margie Mackey. They went on to have six children. Bill owned several businesses throughout his life. Gilles Grocery, The Bungalow, The Hut Restaurant, Gilles Shopping Center, Last Chance Tavern and Z’s Drive Inn. Through the years Bill loved get-togethers with family and friends, cooking large meals, and sharing memories of the past. He shared many of those memories with his dear cousins, Connie, Carla, Marilyn and Marsha. Bill is survived by Margie Gilles; two sons, Gerry and Grant Gilles; three daughters, Gleeann Kamp, Gaylene Gilles (Jason), and Gelaine Scroggie (D.J. ); nine grandchildren, Hayley, Greg, Aili Wild (Ryan), Dustin, Kiela, Karli, Dylan, Sydney and Macey; and eight great-grandchildren, Alana, Astrid, Bella, Shailia, Kynlee, Fisher, Rylee and Landon. He will be dearly missed by all. He was preceded in death by his parents; a brother, George; a son, Greg; a son-in-law, Fred Kamp; and close family friend, Randy Tyler. A celebration of Bill’s life, including a potluck, is planned from 2 to 6 p.m. Saturday, Jan. 26 at the Kelso Elks. In lieu of flowers, memorial contributions may be made to the Community Home Health & Hospice, P.O. Box 2067, Longview, WA 98632. Sedy — Richard Gardner, noon, Longview-Kelso Elks. Steele Chapel at Longview Memorial Park & Crematory. Moses — Juanita Ione, 9 a.m., St. Joseph Catholic Church, Kalama. Columbia Funeral Service. Hollinger — Terry Smithton, 4 p.m., Longview Country Club. Steele Chapel at Longview Memorial Park & Crematory. Betty Jean Gowler, 73, of Kelso passed away Jan. 1, 2019. She was born Feb. 27, 1945, in Bremerton, Wash., to William and Chloe Vera (Flowers) Kinross. She graduated from high school in Bremerton and from Longview Business College. Betty was a call center clerk for Kaiser Permanente for 20 years. She enjoyed pottery, gardening, shopping, and time with family and friends. Betty was outgoing, funny, and friendly. She was also generous and giving. Betty was always willing to help others. She was a wonderful mother, grandmother and friend. Survivors include a son, Mike Griggs (Rina) of Kelso; three grandchildren, Aylah Griggs of Castle Rock, Jacob Griggs (Alysia) of Jacksonville, N.C., and Eli Griggs of Kelso; and two great-grandchldren, Kyah Griggs of Castle Rock and Johnny Jacob Griggs of Jacksonville. Betty was preceded in death by her husband, Robert “Skip” Guard in 1998; a brother, Dean Bellmer; a sister, Eleanor Lindstrom; and two daughters, Teresa Griggs in 2008, and Jennifer Renee Griggs as an infant. A celebration of Betty’s life will be announced at a later date. Devoted wife, mother, grand and great-grandmother Juanita Ione Moses, 93, of Longview passed away Jan. 8, 2019, at home. She was born Sept. 21, 1925, in Rhame, N.D., John Oscar and Erma Anita (Irons) Bergquist. The family moved to the local area in 1935 and Juanita graduated from Kelso High School in 1943. In 1944 Juanita married John Michael Moses in Providence, R.I., and became a homemaker. She also assisted with the family grocery store in Kalama and various other businesses. Juanita was a member of the Amalak Women’s Club and the Elks. She enjoyed league bowling, softball, extensive travels and wintering in Arizona. Juanita was preceded in death by John, her husband of 66 years in 2010; four brothers; and three sisters. Surviving her are four children, John “Mick” Moses (Kim) of Orondo, Wash., Marilee Sinclair (Rich) of Yakima, Jeff Moses (Cindy) of Kelso, and Jerry Moses (Liz) of South Colby, Wash.; two sisters, Elsie Maye Eastlick of Longview and Becky Farless (Jerry) of Springfield, Ore.; 12 grandchildren; 15 great-grandchildren; and numerous nieces and nephews. A funeral Mass is planned for 9 a.m. Monday at St. Joseph Catholic Church in Kalama. Father Jerry Woodman will officiate. Refreshment will follow in the Parish Hall. Memorial contributions may be made to St. Joseph Catholic Church, care of St. Philip’s Catholic Church, P.O. Box 2169, Woodland, WA 98674. Carr — Carole V. (Peterson) Bougie, 88, Naples, Texas, died Jan. 4 at Christus St. Michael's Hospital, Atlanta, Texas. Sasser Funeral Home, Naples. Ellison — Gail Elizabeth, 76, Kelso, died Tuesday at home. Columbia Funeral Service. Gilles — Bill, 86, Kelso, died Tuesday at the Hospice Care Center. Columbia Funeral Service. Jouwsma — Janet, 71, Woodland, died Monday at Southwest Washington Medical Center, Vancouver. Woodland Funeral Home. Miller — Elizabeth “Betty” Jean, 87, died Wednesday at the Hospice Care Center. Steele Chapel at Longview Memorial Park & Crematory. Roberts — Angie Carol, 66, Rainier, died Jan. 4 at St. John Medical Center. Groulx Family Mortuary, Rainier. Syracuse — Marjorie E., 93, Longview, died Wednesday at the Hospice Care Center. Cascade Northwest Funeral Chapel at Green Hills Memorial Gardens & Crematory. Loved, cherish, and missed, Richard Gardner Sedy, 66, passed away as the result of a tragic dump truck accident Dec. 28, 2018, in Longview. 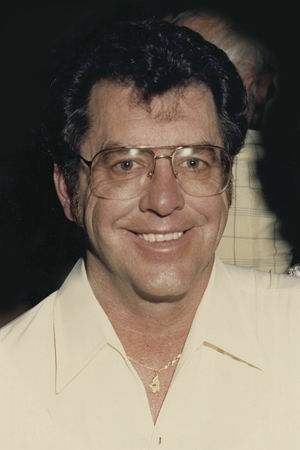 Richard is survived by his wife of 48 years, Dixie Sedy; two daughters, Michelle Wheeler (Brian) and Chasity Sedy (Brad Rutlege); three grandchildren, Taylor, Carter (Alex) and Austin Sedy (Jessica); two great-grandchildren, Gunner and Casey Lynn; three sisters, Linda Breckner in Arizona, Pat Iverson (Tom) of Beaverton, Ore., and Sandra Keeton (Tim) of Raymond, Wash.; and his nieces and nephews. A convoy in his honor will begin at 11:30 a.m. Sunday at the Castle Rock Fairground and end at the Three River Mall. A memorial service will follow at the Longview-Kelso Elks with a potluck, slide show, and a sharing of stories. Francis — Mercedes Lorraine, (graveside) 3 p.m. Whittle-Hubbard Cemetery; (COL) 3-5 p.m., Castle Rock Women's Club. Hubbard Funeral Home.